Steelmaking slag is considered to be a suitable candidate material for rehabilitating marine environments damaged by sea desertification because it can supply nutrient elements, and its positive effects have been phenomenologically proven. 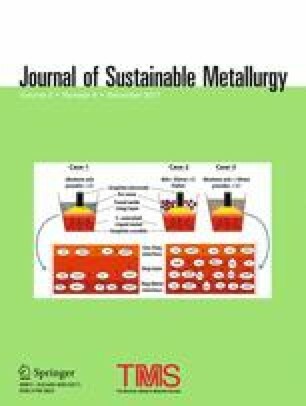 To fully understand the role of steelmaking slag in the rehabilitation process and maximize its efficiency, elucidation of the dissolution mechanism of nutrient elements from slag-based materials is essential. The present study focused on the long-term dissolution behaviors of steelmaking slag, a slag–soil composite material, and a slag–humic substance composite material. Column experiments with a duration of 1152 h clarified that a marked increase in the pH value as well as the significant dissolution of elements occurred in the initial stage, while the subsequent increase in the concentrations of elements was small, and the Fe contained in the original seawater precipitated owing to the locally high pH in the column.